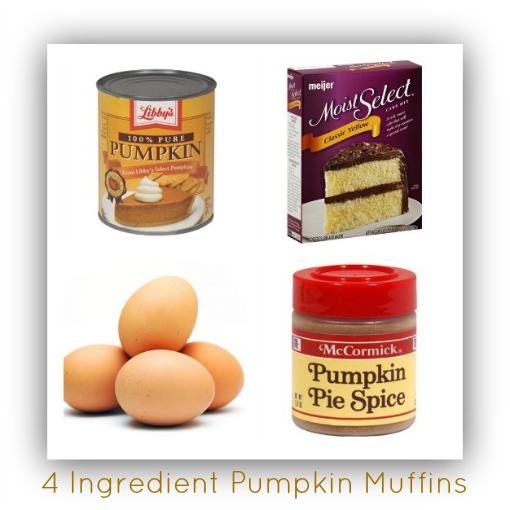 4 Ingredient Pumpkin Muffins to Delight Your Holiday Guests | #MeijerHoliday - The Kennedy Adventures! During the holidays, thoughts turn to baking and crafting around these parts. 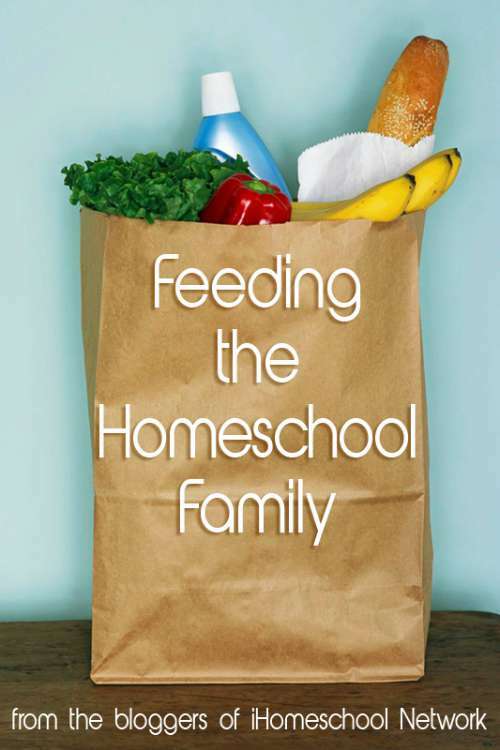 My kids are loving the fact that I’ve declared a break from homeschooling, with more focus on life skills …. like time in the kitchen. Despite the Great Oven Incident of 2012, we’re still cooking up a storm here. We just have to be careful not to get close to the oven. We have loads of holiday parties coming up in the next week. I have a cardinal rule for surviving holiday stress … we only attend one event per day. Following that rule means we stretch out Christmas well into the New Year. With four small children to get ready for a party, plus myself, I always opt to bring dessert. Chances are strong that I will be late, so I don’t want folks standing around waiting on me to bring the turkey or ham. I have lots of little helpers in the kitchen, so I look for recipes that are simple. One of the recipes that we love in the fall and winter are 4 Ingredient Pumpkin Muffins. You can take these to a breakfast get together, or just make the same recipe using a 9×13 cake pan. I found the original recipe on Pinterest, and modified it to fit our tastes. 1 box cake Mix – we’ve had the best luck with a yellow or white version. I’d like to try spice cake with the pumpkin. Yum! 1 or 2 eggs – I just judge this by how the batter looks. Pumpkin Pie Spice – you can use this, or cinnamon, nutmeg, etc to taste. If you’re not dealing with any sort of nut allergies, adding some diced pecans is wonderful! Mix the dry cake mix, canned pumpkin and 1 to 2 eggs together in a bowl. (no oil!) Add spices or nuts to taste. Pour into a greased muffin pan or 9×13 cake pan. Bake according to the directions on the cake box. You’ll know it’s done when you insert a toothpick (or a chopstick!) into the cake and it comes out dry. You can serve them plain, with no icing, or top it off with a cream cheese icing. We do a variation at my house with a brick of cream cheese, whipped cream and powdered sugar. My kids LOVE it! I was able to pick all these items up at my local Meijer supercenter, pioneer of the ‘one stop shopping’ concept. I can grab groceries, craft supplies, Christmas ornaments and even rum for my eggnog in one store! They have locations throughout Michigan, Ohio, Indiana, Illinois and Kentucky. If there’s not one near you, you could shop at Meijer online, or connect with them on Twitter or Facebook. What delicious desserts are you taking to your Christmas get togethers? Be sure and share in the comments – I’d love to add more to my list! If you’re looking for more recipes, don’t miss Scrumptious Sundays! This is a sponsored post for SheSpeaks/Meijer. All opinions are my very own.